A while back we showed you the RoverPad 10 inch Android tablet from Russian electronics manufacturer Rover Computers, the company has now launched a smaller 7 inch version. The RoverPad 3W T70 features a 7 inch resistive touch screen display with a resolution of 480 x 800, it comes with a 720MHz Telechips 8902B processor and features 512MB of RAM. Other specifications on the RoverPad 7 inch Android tablet include 4GB of built in storage, a microSD card slot, accelerometer, two mini USB ports, a 3.5mm audio jack and a 2,500mAh battery. 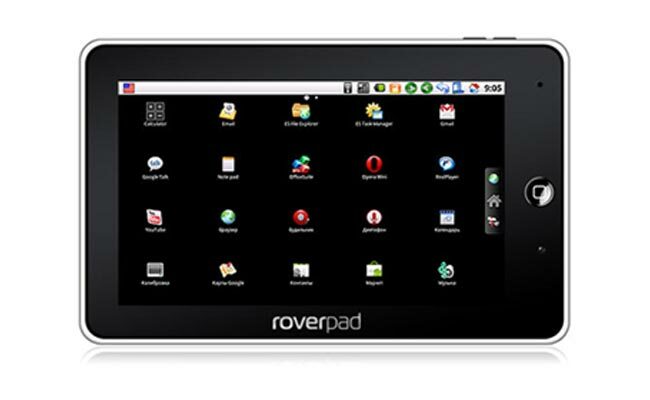 The Rover 7 inch Android tablet comes with Google Android 2.1 and it is available in Russia for $293.